An emotionally captivating and masterfully linked story collection set in Morocco’s gleaming imperial cities, twisting medinas, and remote Saharan outposts, The Arab’s Ox (originally published as Larabi’s Ox) was awarded the Chicago Foundation for Literature Award for Fiction sponsored by the Friends of Literature, a Pushcart Prize, the Lawrence Foundation Award in Fiction, an Individual Artist Fellowship from the National Endowment for the Arts, and the 1992 Milkweed Editions National Fiction Prize, selected by Gloria Naylor. This edition marks the 25th anniversary of the book’s publication. importantly through its artistry offers what the best fiction does: the felt human landscape with its terrifying heights and abysses, its oddly shaped and jarring strangeness; the awed realization on your part that, against all rhythm and reason, the artist has taken you home." "An intriguing, beautifully crafted exploration of the human heart....Ardizzone writes like a poet, with a gift for capturing moments in perfect, elegant images." textured, deserving the highest regard." "Tony Ardizzone achieves an intriguingly prismatic effect in his second collection of short fiction....His willingness to penetrate Moroccan culture, rather than paint it as an exotic backdrop for expatriate adventures, makes this collection, which won the 1992 Milkweed National Fiction Prize, refreshingly original." awareness of three strangers set loose in a strange land. Ardizzone mixes a sympathetic psychological acuity with the precise observations of a skilled travel writer. He has taken Henry James’s international theme, dipped it in rich North African dye, perfumed it with exotic oils, and draped it in a bright djellaba." "Full of masterly writing and teeming with ordinary Moroccan life, this is travel literature of a high order." "Ardizzone’s artistry in depicting the beauty and flaws of Arab culture introduces a new lens for Westerners to see Morocco in another way than what they have seen already." "This year's winner of the Milkweed National Fiction Prize joins the growing ranks of novel/short story hybrids. 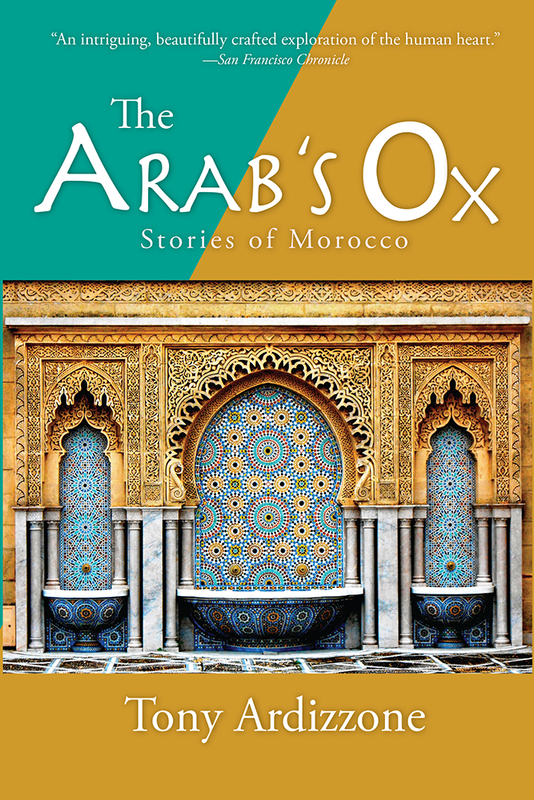 Ardizzone weaves three distinct story lines in [The Arab’s Ox], all involving Americans hoping to distract themselves from stateside problems in the disturbing beauty of the Moroccan landscape....Beautifully designed and thoughtfully written, [The Arab’s Ox] is a rarity: a book about Americans abroad that offers the hope of some rapprochement across cultures." "In the Western World, few cultures have been so misunderstood as those of the Middle East. All the more important, then, that there should appear a beautiful and riveting collection such as [The Arab’s Ox], with the power to dispel ignorance while telling stories that are moving, compassionate, and life-affirming. Without condescension of prejudice, Ardizzone brilliantly explores the rich history, the deep-rooted traditions, the magic, and the cultural intricacies of Morocco, long considered the most 'enlightened' of Middle Eastern countries." "[The Arab's Ox] places Tony Ardizzone in our first rank of story writers. His range is wide enough to embrace man and beast, infidel and Muslim, the fallen and the saved; his empathy is such that he immediately makes compelling any character that appears. These are wise stories, memorably told, beautifully written."